Paul Young is a rock and soul/ pop singer-songwriter from Luton. He was previously a member of Streetband (key hit - "Toast") and Q-Tips (key hit - "SYSLJFM - Letter Song"), before going solo in the '80s and scoring hits with "Love Of The Common People", "Wherever I Lay My Hat", "Come Back and Stay", "Everytime You Go Away" and "Everything Must Change". 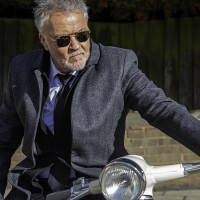 Paul released his debut album, "No Parlez" in 1983, followed by: "The Secret of Association" (1985), "Between Two Fires" (1986), "Other Voices" (1990), "The Crossing" (1993), "Reflections" (1994), "Paul Young" (1997), "Rock Swings - On the Wild Side of Swing" (2006), plus 2016's: "Good Thing".